The Independent Network, which already has two councillors in Atherton, is fielding no fewer than five candidates in one of its most ambitious bids yet for success at the ballot box. 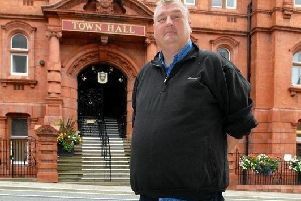 There are some familiar faces in the ranks too, with stalwart opposition activist and former councillor Jim Ellis making a bid to return to the chamber in Hindley and well-known campaigner Michael Moulding standing in Ashton. James Paul Watson is also running once more in Atherton, where the Independent Network is hoping to make it a clean sweep of ward seats with Coun Stuart Gerrard and Coun Jamie Hodgkinson already serving there. The other two candidates are Kevin Lee for Atherleigh and Deborah Lloyd for Hindley Green. Mr Ellis is probably the best known of the five, having previously campaigned for Hindley Swimming Pool and led an organisation to run it for some time when the council let it go as well as supporting the town’s railway station. Mr Moulding is also a familiar figure in politics and says if elected he will create a stronger opposition voice by working together with the two independents already elected in neighbouring Bryn ward. Ms Lloyd said adult social care was a massive issue in Hindley Green that she would be prominently including in her campaign while others spoke of the benefits of having someone in the chamber not aligned to major parties. Mr Watson said: “A councillor is the bridge between community and the local council, and you should strive to be constantly improving the day-to-day running of your ward. The local elections are on Thursday May 2.